Our mission is to provide mobility options for travel to jobs, health and medical services, social functions, community services, recreational and educational facilities. Through cooperative public and private efforts, we strive to provide effective and cost efficient public transportation services to the Northeastern Colorado region. We want to provide the best service to you! 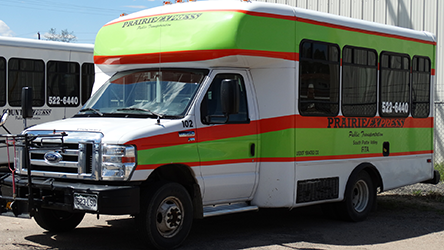 Prairie Express, our local fixed route system in Sterling Colorado, provides access to all major employers, medical facilities, retail centers and educational institutions. Please view our routes and schedules below. Not finding the destination you require. Learn about our Route Diversion Program found on our Route and schedule page. 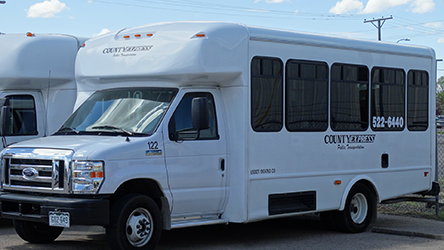 Our reservation based, curb to curb transportation provides valuable services for residents of Northeastern Colorado. Services are available for the general public, Senior riders, medicaid and HCBS travel. Travel destinations include both local requests and travel to some Front Range destinations. Please visit our County Express page to learn more. Please use the following links for more information regarding transportation in Northeast Colorado and our State.